Professionally, Jennifer is an Integrative Clinical Phyto-Aromatherapist, Herbalist, Scentpreneur™, author, speaker and guest speaker. She is the owner of JennScents and the JennScents Aromaversity®, a NAHA Approved Level 1, 2 & 3 School Provider. 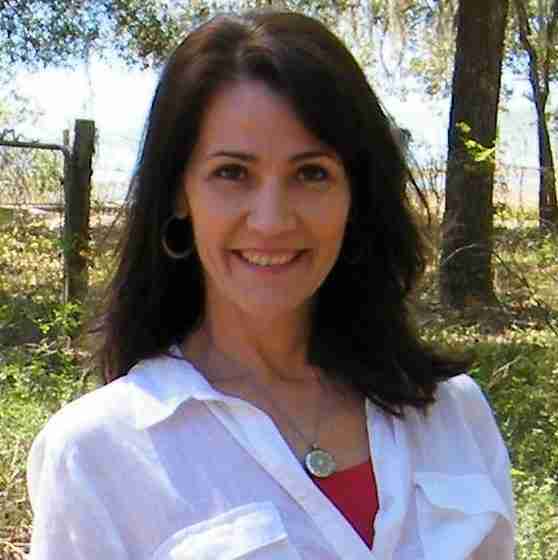 She is a graduate of the University of Central Florida with a Bachelor’s Degree in Psychology and Teacher Diplomate in Spiritual PhytoEssencing (a deep emotional healing discipline). She is a professional member, Central Florida Director and Vice President of the National Association of Holistic Aromatherapy (NAHA.org). She began one of the very first Aromatherapy Custom Blending Bars, creating a unique, personalized and meaningful experience to help others with physical, mental and emotional issues. She developed her own style and techniques providing in-depth Scentillect™ and Scenterpretation™ of the custom blends, to educate clients and bring them into a greater awareness about their physical, mental and emotional state. Now, she continues custom blending through her Virtual Custom Blending and Private Consultations. She is a true holistic practitioner, integrating a variety of holistic health modalities, customized to meet the specific needs of clients. She is bridging the mind, body and soul for overall harmonious health. Personally, Jennifer has had an equally challenging and amazing life. As a child, she experienced several health crisis from respiratory infections to hormonal and weight issues. Her toughest battle came when she was in her mid-20’s when she battled Crohn’s, Colitis and IBS. She pursued the medical route, visiting Shands Hospital and the Mayo Clinic without much success. She said, “after years of these challenging ups and downs, I found great relief using Roman Chamomile essential oil blended in apricot oil to calm the abdominal pains, severe cramping, diarrhea, weakened immunity and general debility. I experienced immediate results, within one day. Not only did the essential oils help my physical ailments, it improved my mood, balanced emotions and fueled my will to stay headstrong and keep searching for answers. It was my flashlight through some really dark times.” Jennifer’s experience with aromatherapy was life-changing and with the support of her mentor, friends and family, she decided to start her own aromatherapy business. “I had a thriving business before I realized I was in business for myself”, she exclaims. “I just love helping people, and before I knew it, I created an aromatherapy business that did just that, help people.” Jennifer officially established JennScents®, Inc. in October 2002 offering custom blending services, developing her own product line, educating at special events, local clubs and organizations, at home parties and conventions. Jennifer’s journey of being an over-achiever in elementary, junior high, high school and college was a great foundation to helping her develop her entrepreneurial skills. Not only did she start her own business, she started an aromatherapy school, became a popular speaker and has authored several aromatherapy books and a few e-books. One of her very first books, Aromatherapy Business Guide, was an inspiration to start her own Aromaversity®. This guide became the workbook for two of her aromatherapy certification courses. She teaches and trains others to establish their own aromatherapy based business with guiding principles, tips, techniques, references and resources. She authored the JennScents Aromatherapy Recipe Guide, JennScents Aromatherapy Guide for Pets and her most successful to date, the JennScents Holistic Aromatherapy Comprehensive Guide, offering over 60 recipes, historical to current, evidenced-based information, gut-brain connection, olfaction practices and more. Through her experiences, circumstances and gifts from God, she is an advocate for integrative phyto-aromatherapy and passionate about helping people gain health – physically, mentally, emotionally and environmentally. Jennifer is a gifted, intuitive master aromatherapy formulator and blender. She is sought out for her aromatherapy skills and guest speaking.